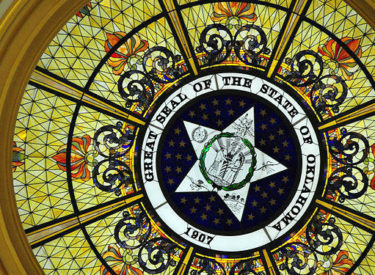 OKLAHOMA CITY (AP) – A list compiled by the Oklahoma Ethics Commission shows more than two dozen state agencies are currently employing contract lobbyists, a practice the new governor wants to end. The commission released a copy of the list Thursday at the request of The Associated Press. One of Gov. Kevin Stitt’s first executive orders was to direct all state agencies to provide his office with details on the lobbyists they hire and how much they pay them. The agencies have until the end of March to provide that information to Stitt’s office. Reports to the Ethics Commission show 27 separate state agencies have hired contract lobbyists, including the state Treasurer’s Office, Banking Department and the state pension systems.